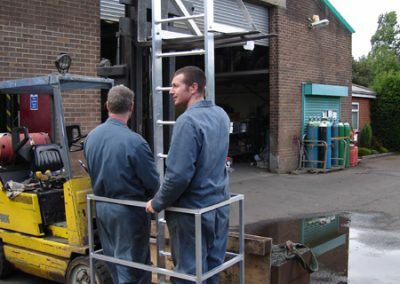 Our range of access equipment is manufactured to suit individual customer requirements; we liaise with our clients to develop a cost-effective and robust solution. 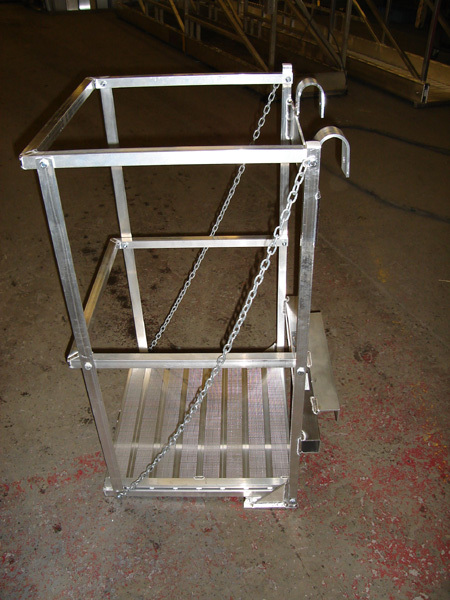 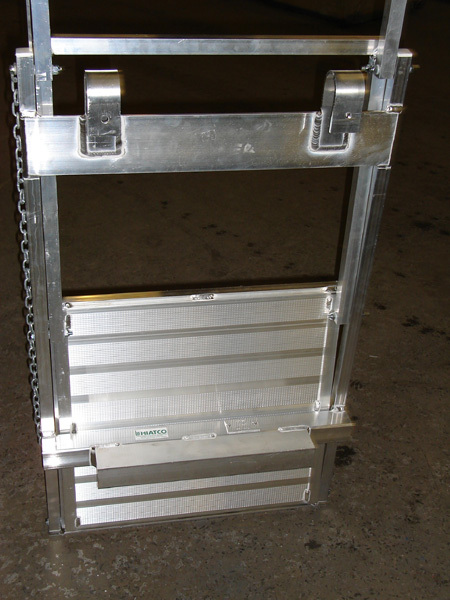 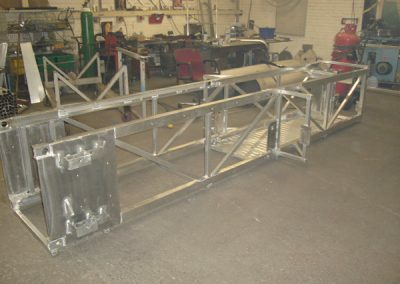 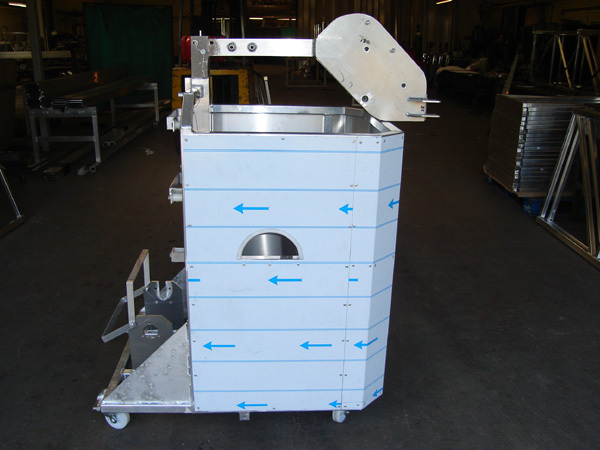 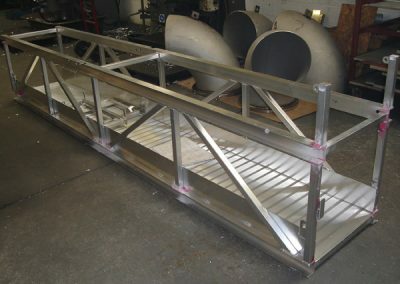 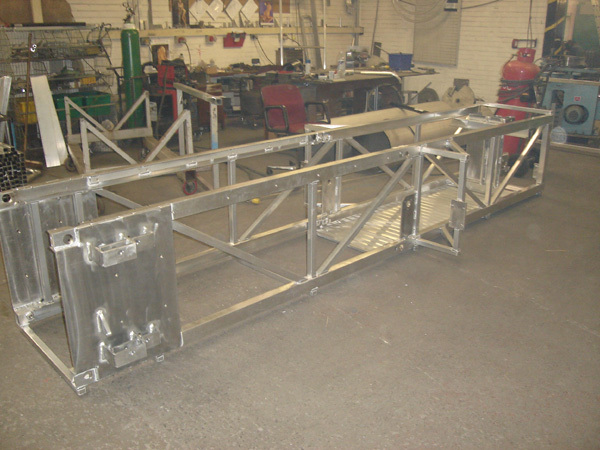 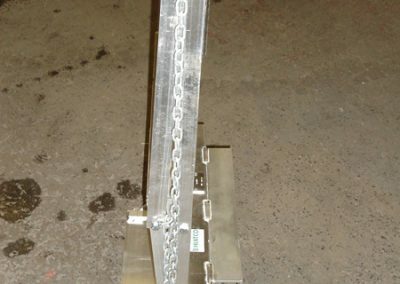 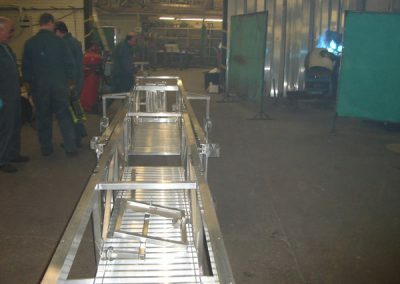 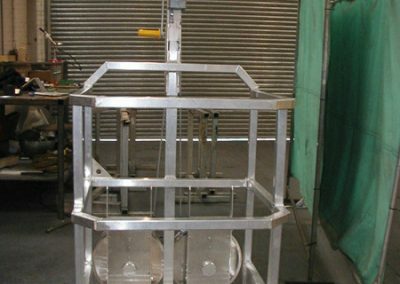 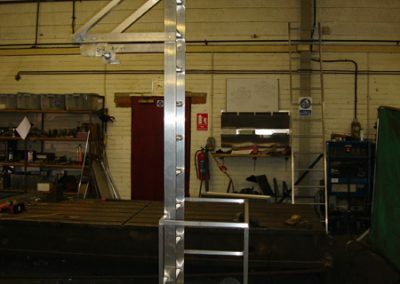 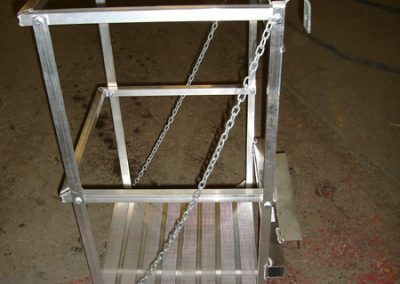 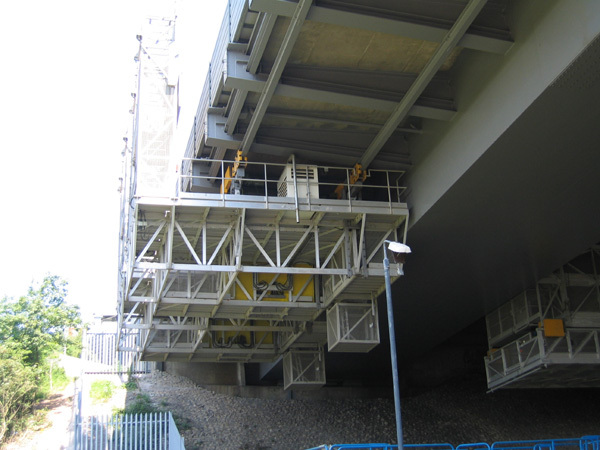 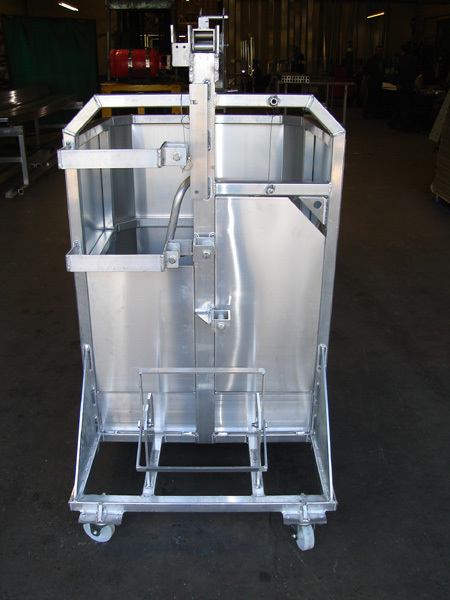 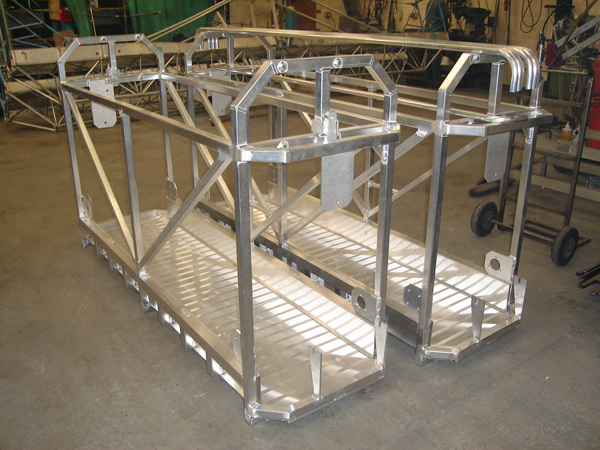 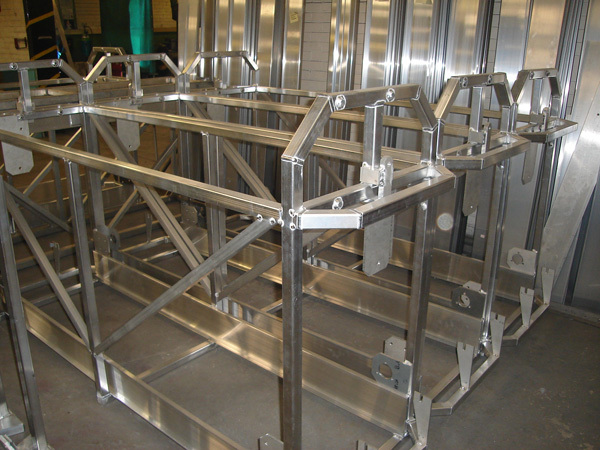 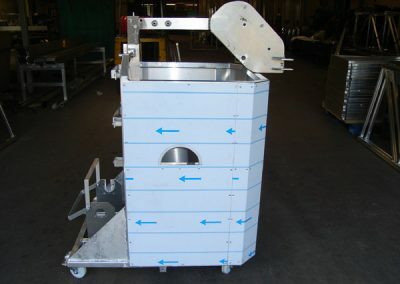 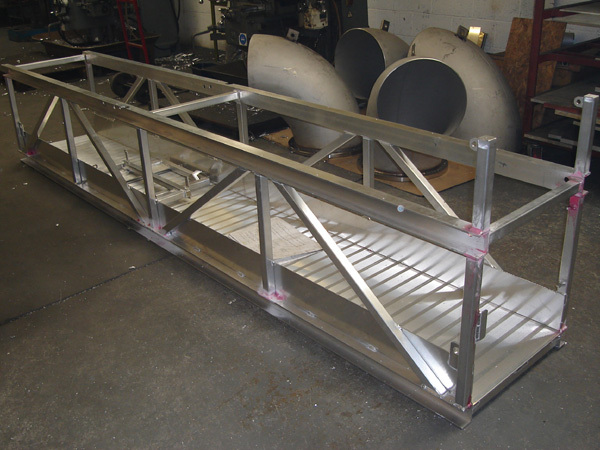 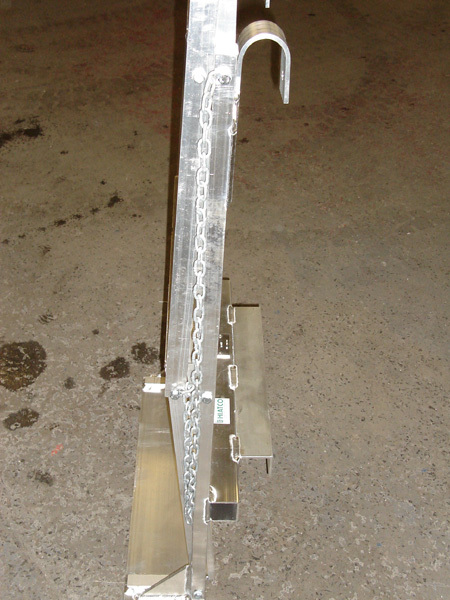 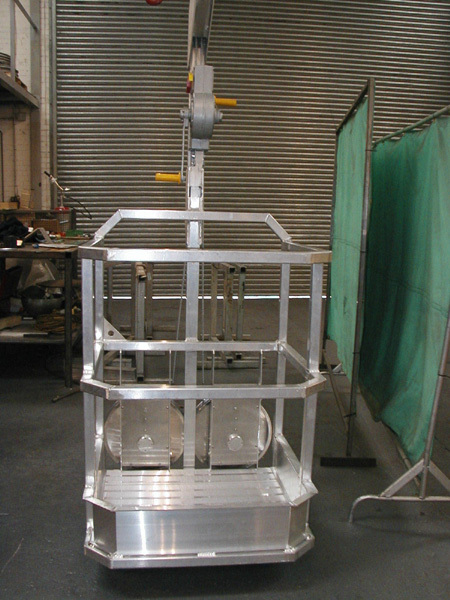 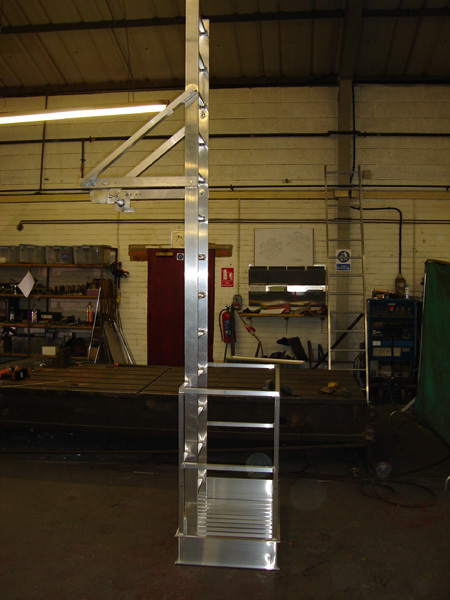 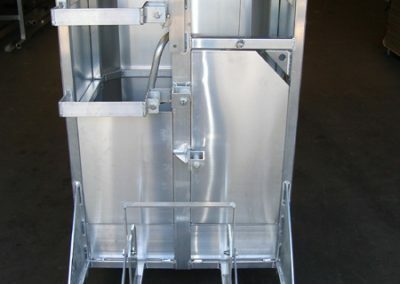 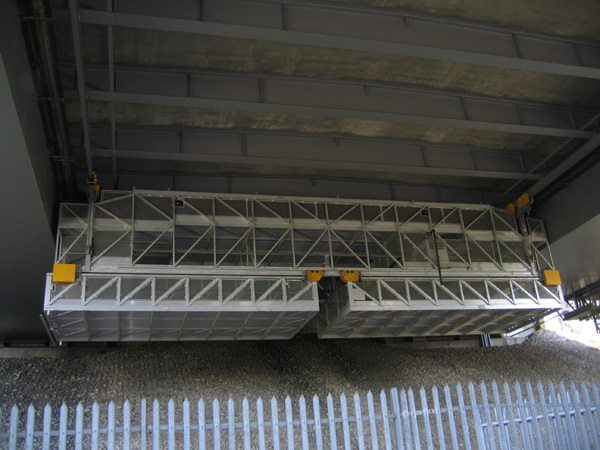 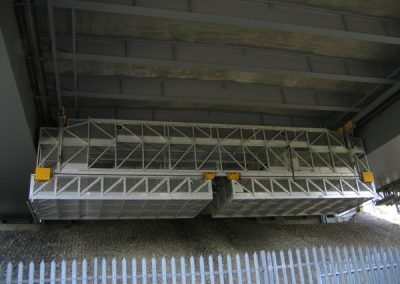 This can range from a simple cradle frame to a complete travelling gantry system. 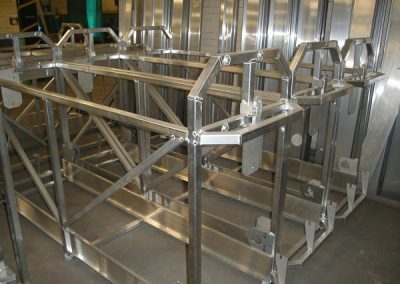 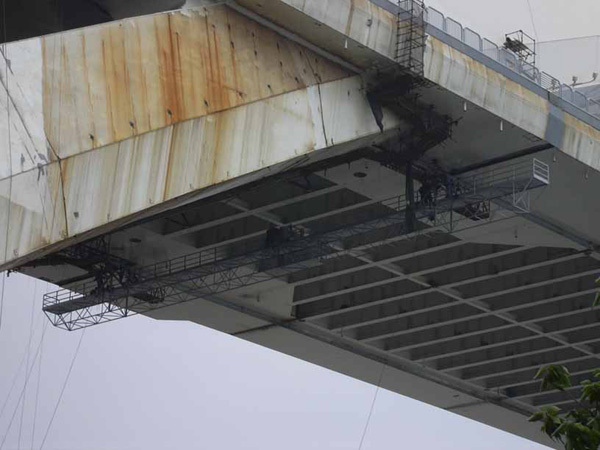 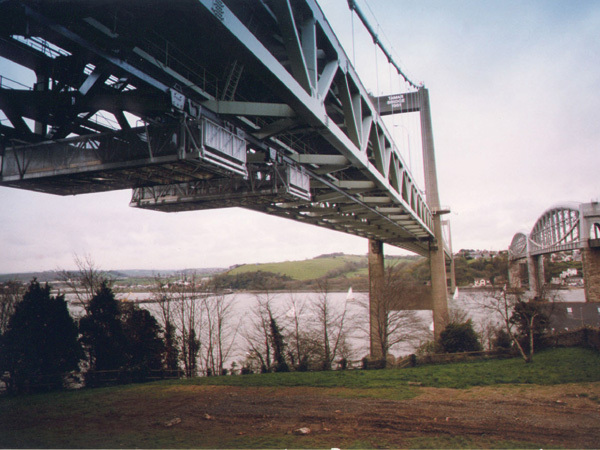 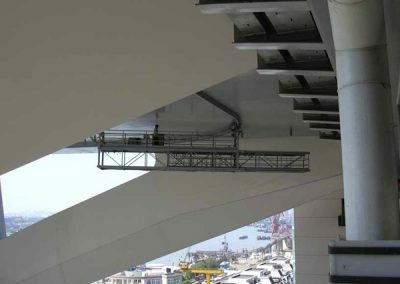 All cradle and gantry frames are mainly manufactured using structural Aluminium Alloy 6082T6 for corrosion resistance and weight sensitive supporting structure. 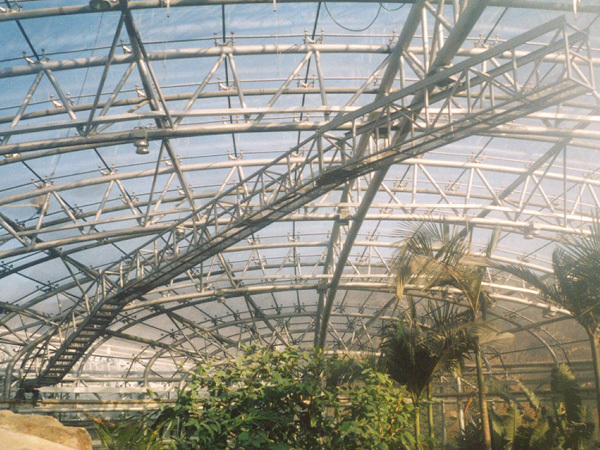 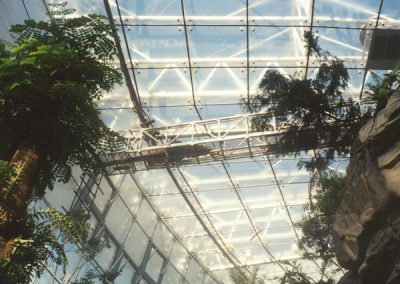 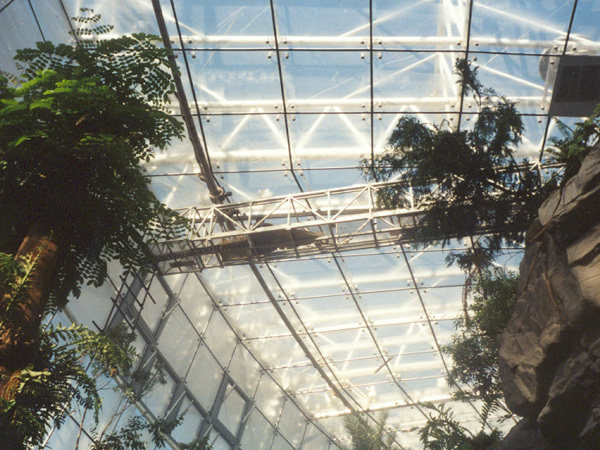 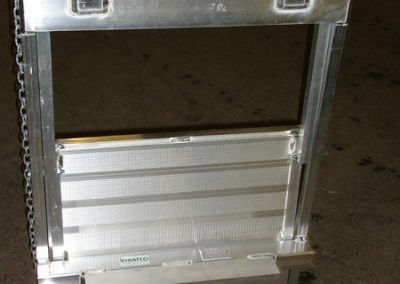 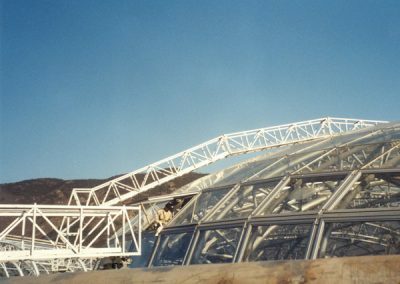 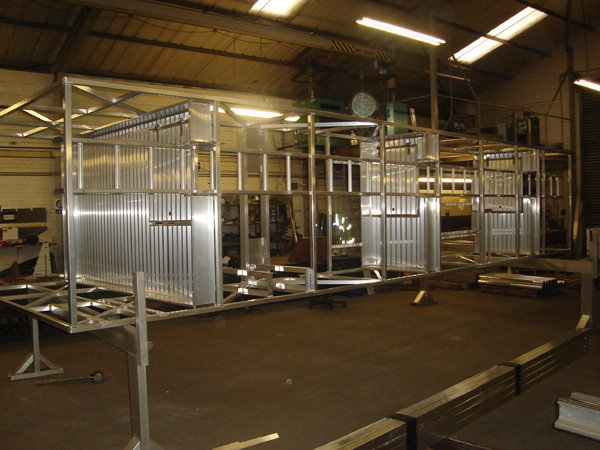 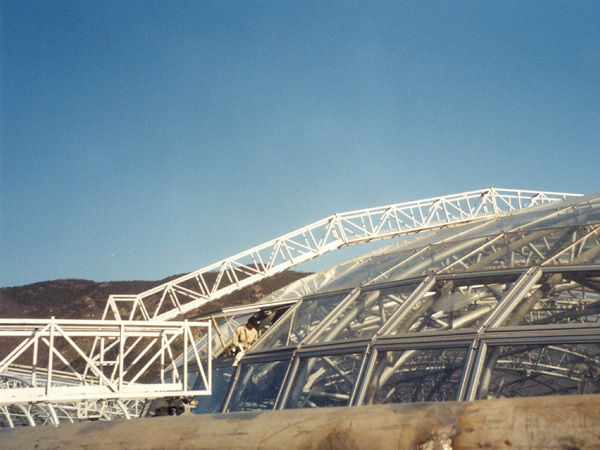 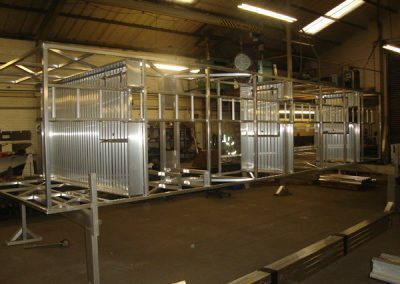 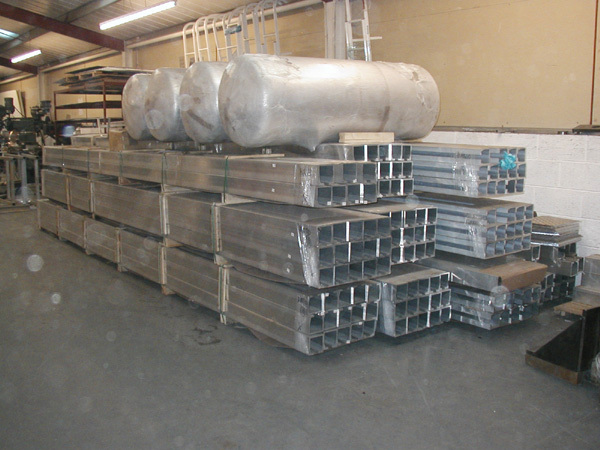 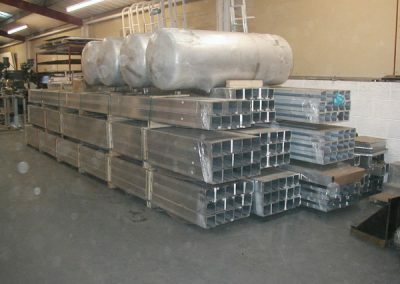 During manufacturing cradle and gantry frames, a series of Hiatco’s specially extruded Aluminium profiles are incorporated within the fabrication. 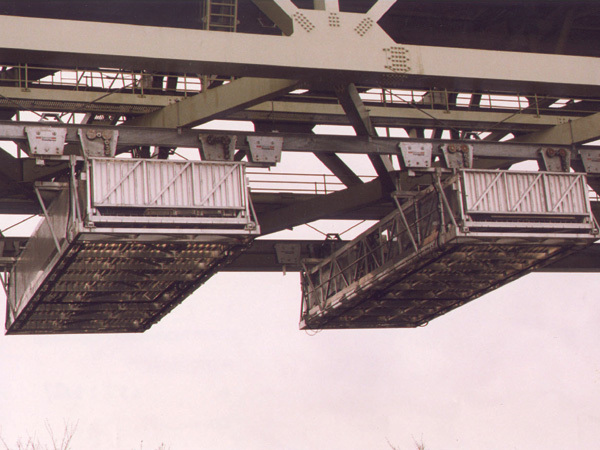 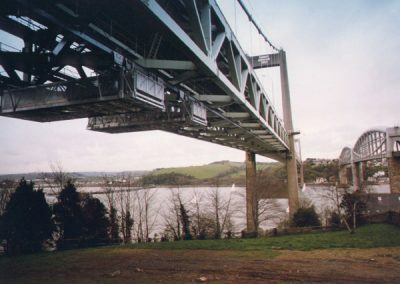 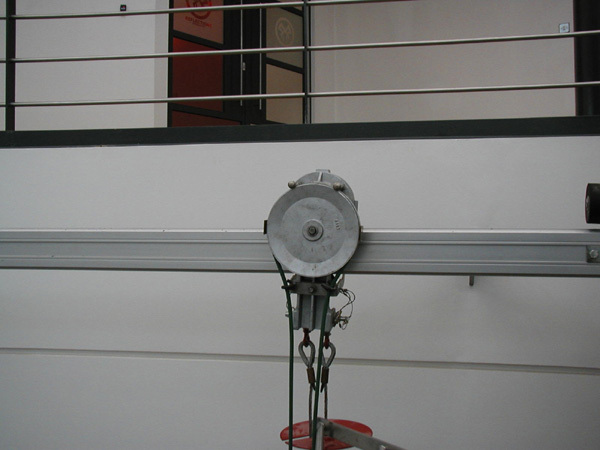 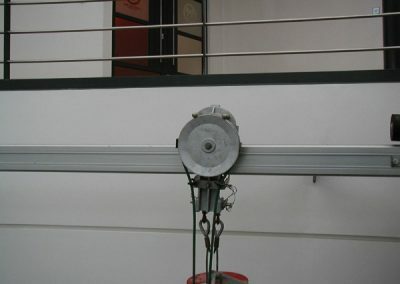 Monorail track is specially extruded from 6082T6 Aluminium Alloy and used to support manually operated trolleys from which the cradle is suspended. 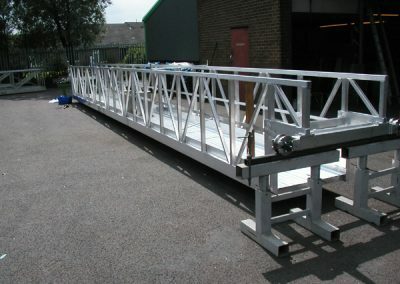 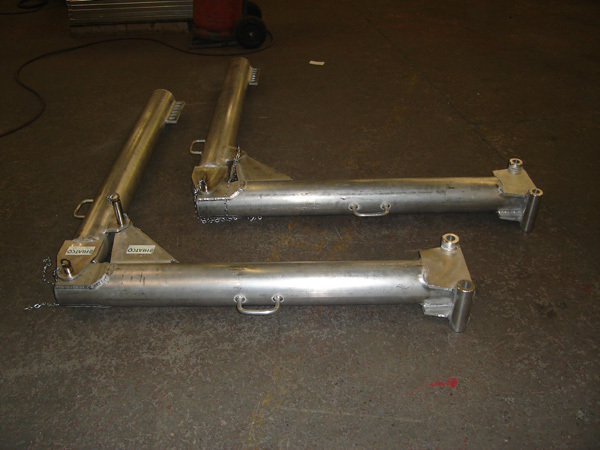 Working in conjunction with the access industry, we provide a valuable manufacturing service to compliment their needs. 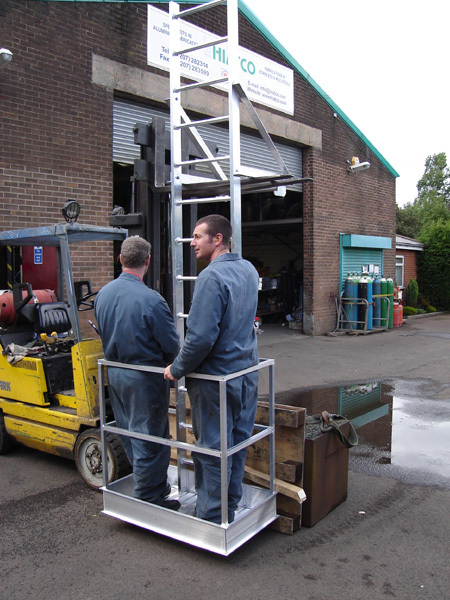 All of Hiatco’s equipment is manufactured to the appropriate standards: BSEN1808 and BS6037. 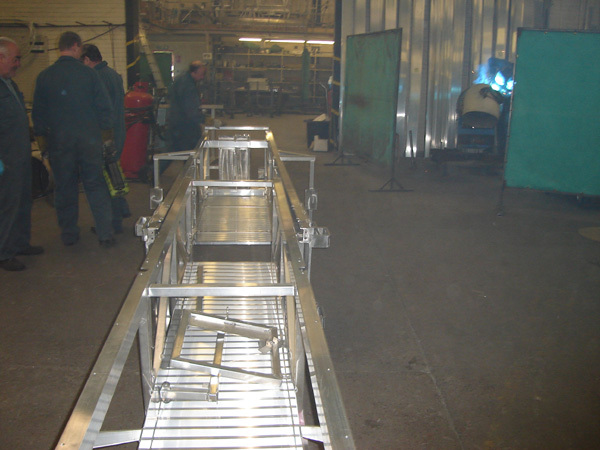 Test certificates are always supplied in compliance with relevant standards.